"One Per Person" is a short animated film that is currently still in progress. 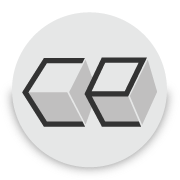 The team consists of dozens of artists in the animation and VFX industry from around the world who are collaborating in their free time to create this film. 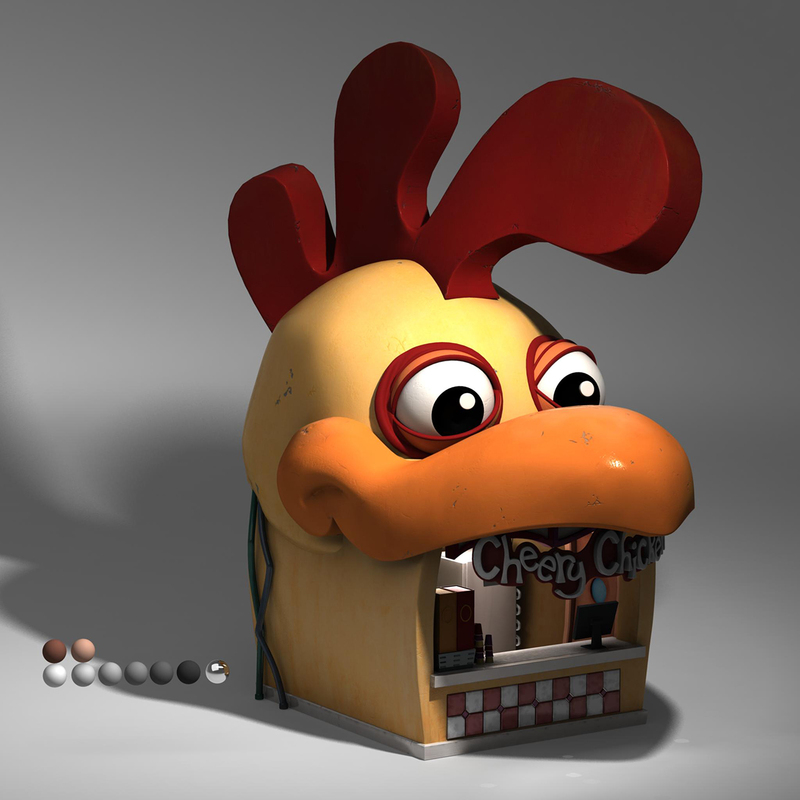 I was intially brought on to just do prop models in spring 2011, but my work was well received so I was asked to model nearly the entire set as well, which I completed in summer 2011. I also texture painted some assets in early 2012. 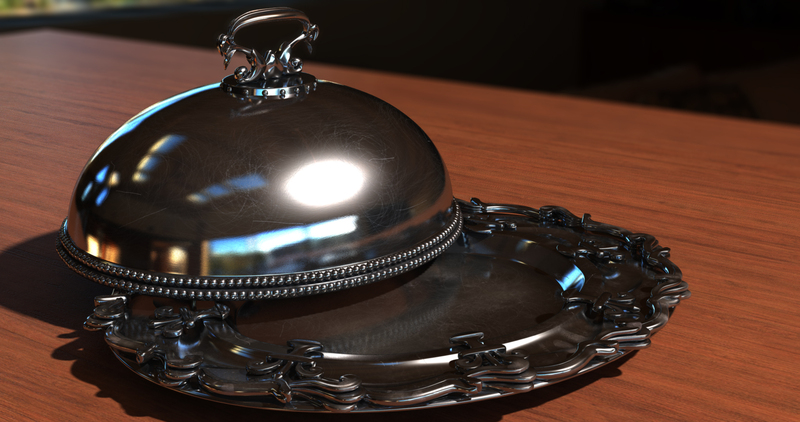 Silver platter 'hero' prop that I modeled, textured, and shaded. 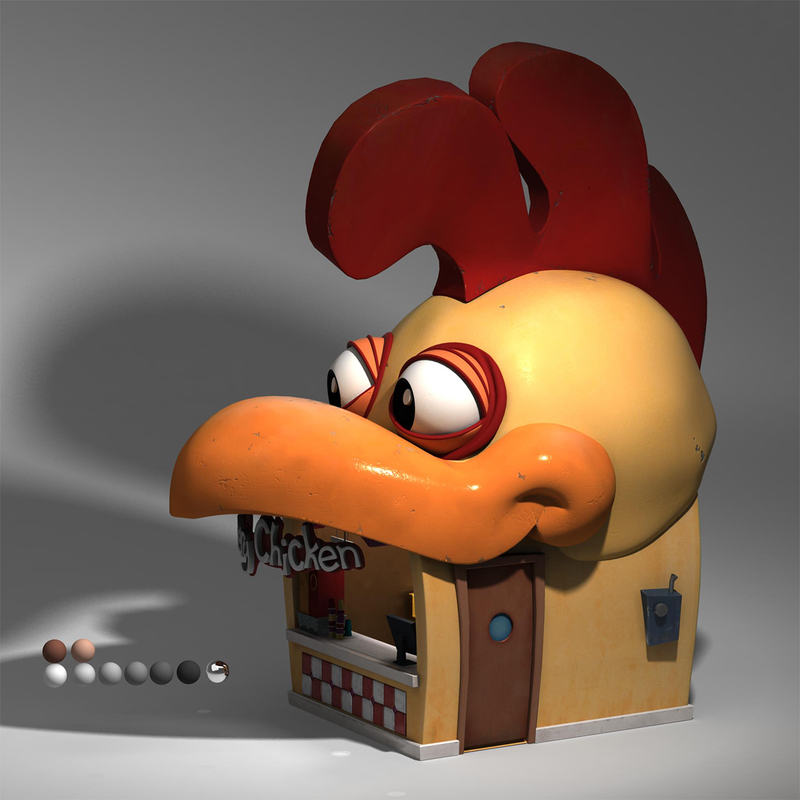 "Cheery Chicken Booth" - One of the set pieces I modeled.